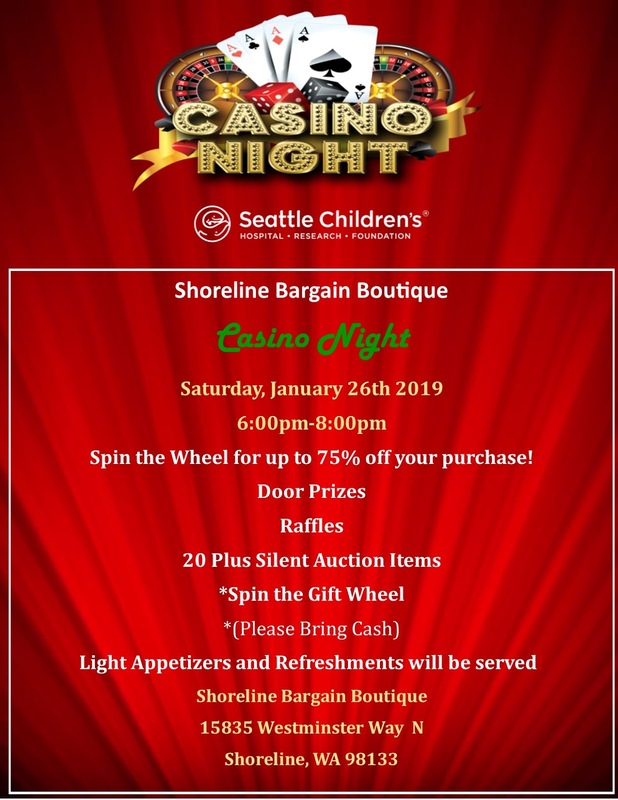 Join Seattle Children's Shoreline Bargain Boutique for Casino Night on Saturday, January 26, 2019 from 6 - 8 pm. Bring cash for "Spin the Gift Wheel." There will be raffles and silent auction items. Light appetizers and refreshments will be served. Proceeds go to Seattle Children's Hospital. Shoreline Bargain Boutique, 15835 Westminster Way N, Shoreline 98133.